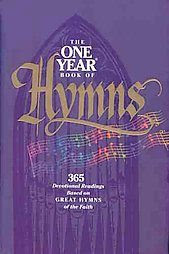 One of the devotional books I check out every weekday (at my office) is The One Year Book of Hymns, compiled by Robert K. Brown and Mark R. Norton. The devotionals are written by William J. Petersen and Randy Petersen. The book is published by Tyndale House. The following hymn with such powerful lyrics was written by Charles Wesley. All the verses are majestic but it was the first verse which ministered to me this morning. Here's that hymn that was so mightily used of the Lord to bring many to Himself. Oh David...This is a really nice picture of you!!! Nice to be reminded of this piece again. If I were leading worship this week, I'd include it -- all five verses! I think this piece holds up well today and the next generation of worship leaders would do well to be reminded of some of these classics.